Well, only added 5 days and…. 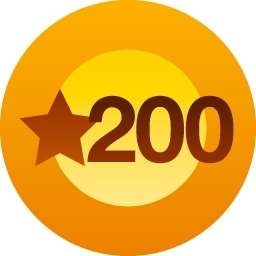 Congratulations on getting 200 total likes on Success Inspirers World. Your current tally is 225. Wonder what the count is now? O my Father—O Father of mine? I feel kind smug. It’s a horrible feeling! I don’t want it, my Father. let me go back to just write & publish. Let me go back to rest underneath Your everlasting arms. Let me forget the cares of this world. Let me stick to Your business. Let me stick to Your will by the power of love from high. Nothing to be smug about. Nothing owe to my carnal-self. The lust for attention & recognition? Let it die without remission! I’m going on. Likes or not, I am going on. Why not? Behold! The Power Of Your Love From On High. It Never Fails. It Always Avails! A dream shall be a reality by the power of love from on high. A glimpse of restored areas to house the chosen while waiting for Yahushua’s return. Amid areas beaming with organic fields yielding vegetables & fruits free from harming chemicals to our minds & bodies. Flowering gardens for the bees to produce honey for the survival of the chosen. Areas where the chickens and the goats and the cows are not injected with chemicals geared to slowly kill the chosen, there! 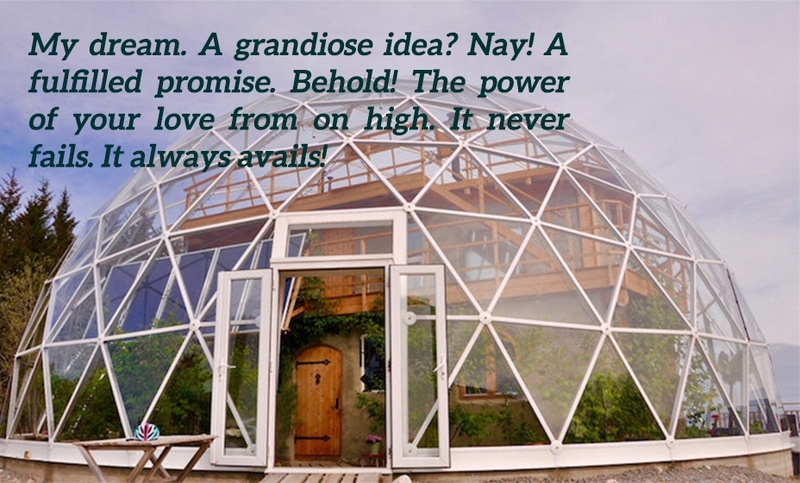 The solar dome for the headquarters, but! “Poor Basilia” is only able to see the impossibility of it all. You whom I [the Master] have taken from the ends of the earth and have called from the corners of it, and said to you, You are My servant–I have chosen you and not cast you off [even though you are exiled]. No need! No need! No need for impossibilities! I am with you and for you. I believe You. You know that or, perhaps I do not believe You. You know it is inevitable for Your child to see the impossibility. Bank account? Barely the money for my daily needs. How can I even imagine millions of dollars at my disposal? O thiaBasilia—O child of My heart? Have you forgotten? It is not your faith. It is My faithfulness. No need for you to imagine anything, to visualize and concentrate on the wantings of your carnal nature to make those materialized. No need to aspire to maximum goodness No one is good—not a single one. I form the light and create darkness, I make peace national well-being, and I create physical evil (calamity); I am Yahuwah/Yahushua Almighty, Who does all these things. (Moral evil proceeds from the will of man, but physical evil proceeds from the will of Yahuwah/Yahushua Almighty). This is a matter out of man’s concept of My Being but! My time is set now to enlighten all. My love is infinitely higher than your concept of love. I am a Mighty One of justice. I will not deprive My children of any good thing. On the contrary, My aim is to establish My children for eternity.